 In this brief and insightful biography, Treglown (Ed., TLS, 1982-90) probes the dark and volatile nature of this postmodern Pied Piper whose macabre tales bewitched millions of children and their parents, earned fortunes for his publishers, and redefined the genre of children's literature. Treglown tactfully rescues Dahl (1916-90) from his quarrelsome heirs in an unauthorized biography that is respectful of his genius and energy and truthful about his faults: his tyrannical nature, cupidity, dishonesty, and bad temper. He traces Dahl's circuitous route from RAF fighter pilot to author of children's books, then of adult stories in magazines, films such as You Only Live Twice and Chitty Chitty Bang Bang, and then the immensely popular books, Charlie and the Chocolate Factory and James and the Giant Peach, as well as others Treglown sensitively explicates, revealing their biographical sources. In 1953 he married actress Patricia Neal and began a stormy 30-year marriage torn by transatlantic allegiances, conflicting careers and personalities, and tragedies: their only son was brain-damaged after his pram was struck by a taxi; their daughter died from a fever; and Neal herself suffered a massive stroke at the height of her career. 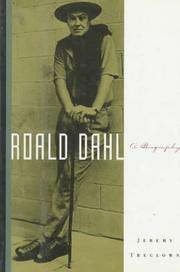 Dahl did his best work--The Twits, The Witches, his memoirs--when he married the more orderly Felicity and could concentrate on the ``business'' of being Dahl, a marketable writer in a profitable field facing off TV, rapacious publishers, and a new generation of politically correct parents for whom he was supposed to censor his imagination and tailor his expression. The enigma of Dahl himself, like the elusive charm of the tales, survives even this fine analysis.